Sensible colors excellent designs and romantic moods are reflected with an alluring style. We unfurl our the intricacy and exclusivity of our creations highlighted with this beautiful green mulberry silk lehenga choli. The ethnic embroidered lace resham and zari work within the apparel adds a sign of beauty statement with a look. 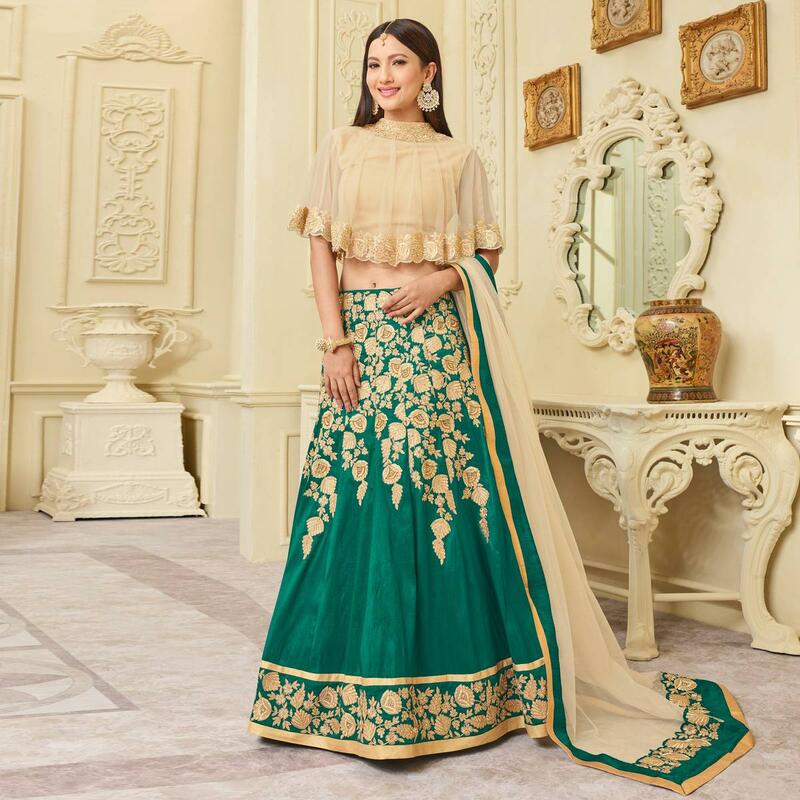 Available with santoon lining & cape style heavy net choli fabric along with net dupatta which has lace and border work. Perfect for traditional functions festivals wedding functions or engagement ceremonies. Pair it with traditional accessories to make your look more beautiful. Length Upto XL - XXL. Length Upto 42 - 44 inches.